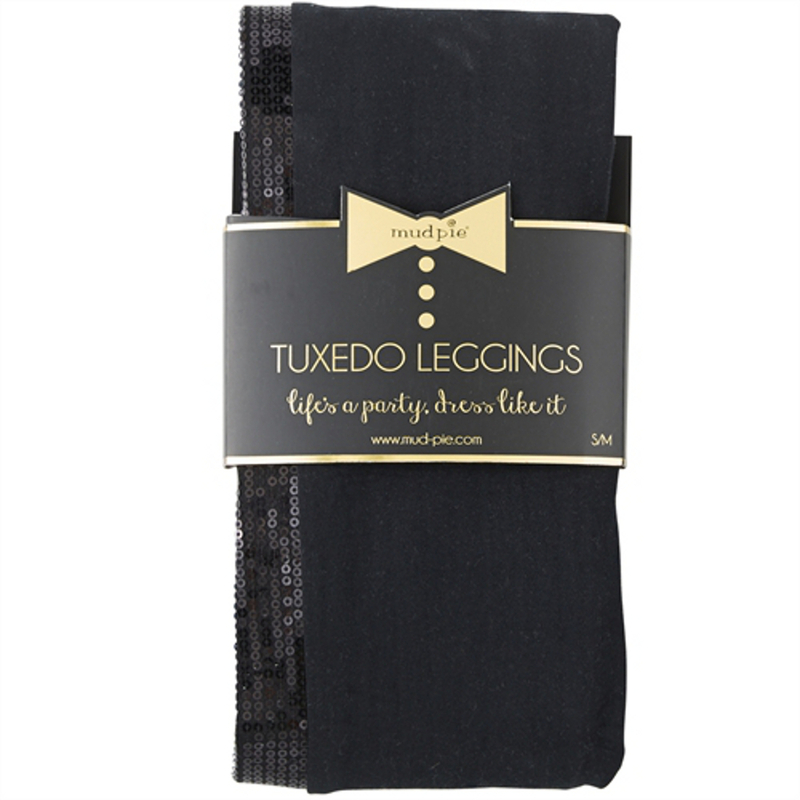 Poly spandex blend legging with wide elastic waistband has decorative side seam panels. Hits just below natural waist and at ankle. Comes folded on gold foil card that reads, "life's a party, dress like it." Vegan leather inset. Machine washable.